2014 was a weird year, in my estimation. It wasn't good, it wasn't bad, it just was. There were some moments of beauty (probably, I can't really think of any off the top of my head) there were moments of ugliness (racism is still alive and well in the US, along with the as yet to be fully handled Ebola crisis) and there were plenty of W-T-F moments (seriously, why were people acting like it was the first year people ever had heard of, or seen, butts. Didn't Sir-Mix-A-Lot kick down that door like 20 years ago?) but I digress. For the purposes of this post, I'll just concern myself with, as the title states, the year in film. Much like 2014 itself though, the year in film was kind of a grab bag, made all the more convoluted by the confused distribution model of the studios. 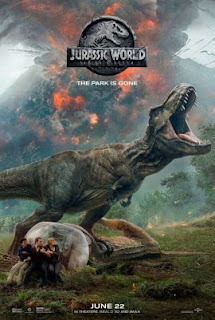 Now terrified to put out anything less than blockbusters, studios defer to early international releases and video-on-demand methods to test the waters for films that they're not certain would crack the opening-weekend box office numbers. What this means is that some excellent films go un-seen for months, while trapped in the underground realm of will-they-won't-they get a theatrical release realm. In case you didn't know it, this is the realm where the pirates lay in wait, and boy, oh, boy, did hackers and pirates have a big year in 2014. I don't think that this is any coincidence, but again, I'm straying from my point. 1. 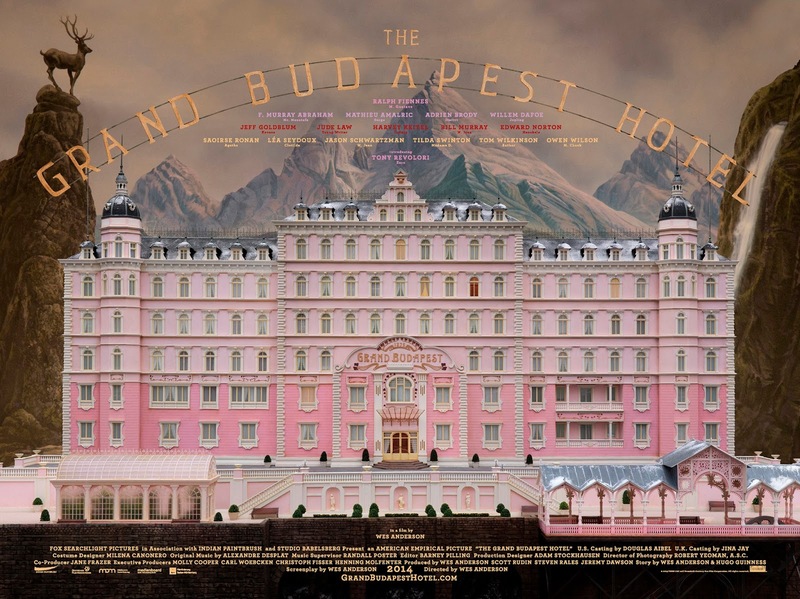 The Grand Budapest Hotel (5 Stars)- Wes Anderson's most assured film to date, that is to say the Wes Anderson-iest of Wes Anderson films so far, it's just a gorgeous slice of cinema. Beyond the color palette and the carefully planned stage-like sets he's known for, this film wears its heart on its sleeve in the form of Ralph Fiennes' Monsieur Gustave, a man of impeccable manners and surprising profanity who sets out on an adventure with his young protege, a lobby boy. As always, Anderson's adeptness at combining dead-pan delivery with the deepest human emotions serves the story well, with moments of genuine hilarity followed by heartbreaking sadness followed by almost manic absurdity. My favorite moment has to be the realization that there is an Underground Railroad of Concierges, a gag which utilizes Anderson's favorite secret (or not so secret) weapon, Bill Murray. 2. 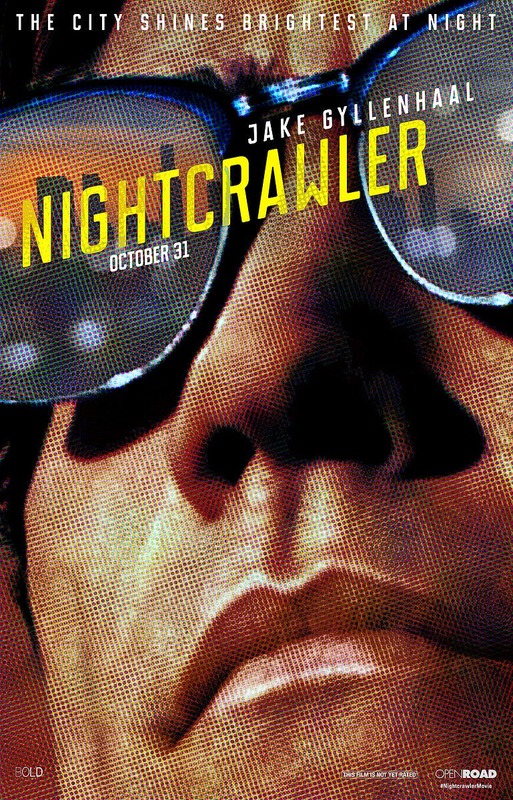 Nightcrawler (5 Stars)-There are movies that you only really need to see once because when you reach the end of them, you've been abused emotionally enough that it feels like a physical gut-punch. While I usually reserve those kinds of summaries for David Fincher films (my favorite gut-punches if I'm honest) Dan Gilroy's directorial debut Nightcrawler fits that description as well. Jake Gyllenhaal, who's been on a tear in the last couple of years, starring in small, but memorable, films like Enemy and Prisoners, reaches a new level with Lou, Louis if you're nasty, Bloom. Louis Bloom has the personality of a used car salesman on the downward spiral of a cocaine binge and he's not about to let anything get in his way of the American dream. As Bloom, and Gilroy, navigate the underground world of tv journalism, the lines between dream and nightmare blur and the things we really want, as a culture, are called in to question. It's a tale not easily forgotten and Gyllenhaal would be my pick for Best Actor, if I were voting. 3. 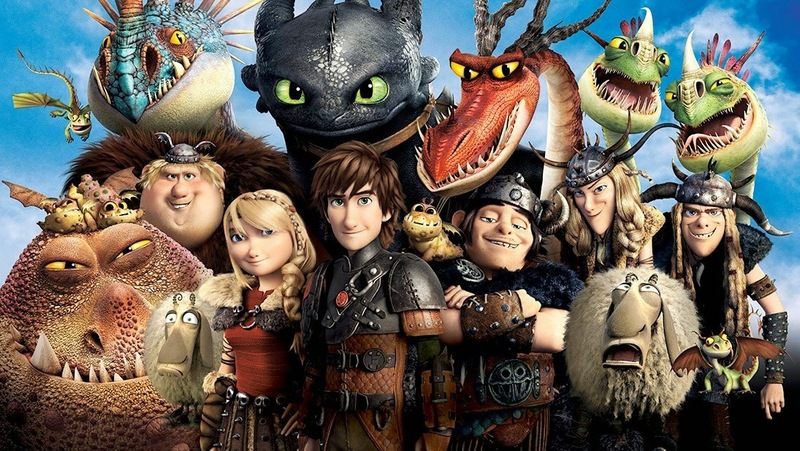 How To Train Your Dragon 2 (5 stars) I loved the first one, but in what might well be considered the animated version of The Godfather II, this installment raises the stakes and the risk pays off. It's difficult to explain everything I loved about this movie, but maybe the biggest thing, is just its heart. I mean, it's beautiful to look at, as well, and the new dragon species introduced are gorgeous and inventive, but really, it's just the fact that I went in to the theater needing a pick-me-up and I feel like I got one that lasted most of the year. When a movie makes you feel that good, and just puts that kind of positivity out in to the world, it's kind of hard not to be enamored with it. 4. Into The Woods (4 1/2 stars) I was terrified that Rob Marshall was going to mess this one up. I really was. I am not a fan of Chicago, nor as his IMDB page confirms, any of his other cinematic endeavors. I mean he's FINE, but he's a poor man's Bob Fosse, and the studios' belief that he is the go-to musical director is a sentiment I don't share. When I heard it was Sondheim that he might mangle, I doubled down on my finger-crossing. And yet, I really, really loved Into The Woods. Beautifully shot and staged, laced with dark humor, courtesy of the comic timings of its talented cast, there, really, is very little to argue with in this adaptation. Some of the numbers from the stage production have been cut (apparently a necessity in all film adaptations) but the message and the emotions remain intact. While Meryl is getting her usual amount of awards buzz, Emily Blunt was the best surprise for me. 5. Birdman (4 1/2 Stars) In a year where comic-book character speculation and superhero adaptations are at an all time high (a bar which I'm sure will only be raised with each passing year) the Batman we all grew up with came back with a vengeance in Alejandro Inarritu's Birdman. To put it simply, Michael Keaton is powerfully charismatic, and only fails to steal the show when having to share a scene with Edward Norton. Shot by Emmanuel Lubezki (the DP who shot Gravity) Birdman is just as visually interesting as it is confounding. A movie about an actor who was in a movie and is now doing a play, there are moments that feel like they were drawn from old-school behind-the-scenes plays and films like Noises Off or Bullets Over Broadway, but there's a spiritual through-line that's difficult to ignore. The entire cast is solid, though, and they better be, since they're the only things anchoring this film, which is essentially the fever dream of "How To Make It On Broadway for Dummies". Never once acknowledging the line between reality and fantasy, Birdman glides above everything, allowing the audience to draw its on conclusions. Redemption, success, life, love, all the big themes are explored in a film that I'll easily love watching over and over again. 6. Gone Girl (4 1/2 stars) Every suburban woman in America has read this book by now, right? Well the good news is, if you can't be bothered to read, you now have a solid adaptation to turn to. As soon as I heard David Fincher was attached to direct, it was just one of those choices that made absolute sense. And goodness, does he know how to pace a mystery. I thought I knew what I was getting in to and, I mostly did; however, there is one scene that is both mind-bogglingly violent and kind of gorgeous all at the same time. You know, the Fincher special if movies were a menu. 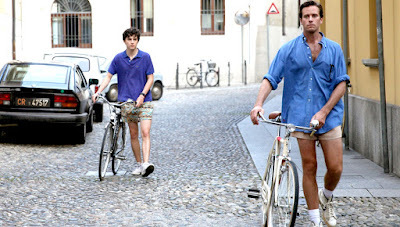 Ben Affleck is great, as what is essentially the straight man role to Rosamund Pike's devil in a blue dress. At moments both impossibly gorgeous and cold, Pike is a Hitchcockian leading lady for the modern age. Just don't forget she can do comedy too guys (see The World's End for proof) as I fear her now being typecast. A page-turner of a novel successfully turned in to a film you can't look away from, and directed by one of my Top 5 working directors? There was no way it WASN'T making the list, assuming all of the cogs in the machine worked, and this time, assumption was NOT brother of all F**K ups. 7. Guardians of the Galaxy (4 1/2 stars) James Gunn answered the question of "how much fun can you pack in to a 2-hour movie this year with Guardians of the Galaxy. While early word from Marvel was that they were a little worried about this particular team being "too weird" for mainstream audiences (EGADS, a TALKING RACOON?!) they needn't have worried. Gunn brought his equally off-beat humor to the script and nailed it all down with one of the best, most-soulful soundtracks of the year that made everyone want to listen to those Time Life Infomercials all over again. With Chris Pratt's undeniable goofy charm at its helm, the cast of lovable misfits was rounded out by Zoe Saldana (the go-to female for geek-tastic adaptations), Dave Bautista, and the voice talents of Bradley Cooper and Vin Diesel. Throw in a baby sapling that dances to the Jackson 5 and you've got a bonafide hit. It didn't hurt that it was also the most visually interesting of the Marvel movies to date. 8. 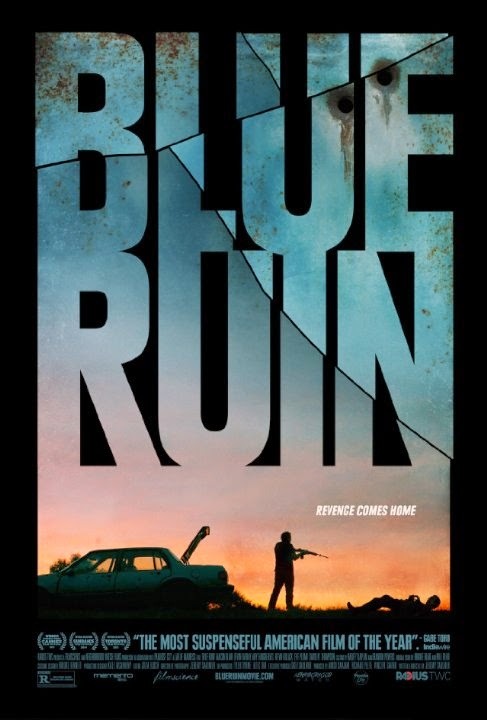 Blue Ruin (4 1/2 stars) One I missed in theaters but watched thanks to Redbox, Blue Ruin is a revenge tale that plays with the pace and tone of a foreign film, the weight of a Shakespearean tragedy and a dash of southern Gothic to boot. Atmospheric and disturbing, darkly funny and monumentally affecting, it's an impressive feat from director Jeremy Saulnier, and a really stunning turn from unlikely leading man Macon Blair. I'm a bit surprised there's not more buzz for his performance, actually, but I hope it leads to more gigs, or at least more pairings with Saulnier. He could be the De Niro to Saulnier's Scorsese. While revenge tales have, as of late, taken on the loud, quick-cut, tone of Bourne or any of the Taken movies, Blue Ruin stands as almost the polar opposite. It is not slick, but awkward and quiet and haunting, and when it does make a loud noise, it's a sound that reverberates through your chest. 9. The Lego Movie (4 1/2 stars) Chris Pratt once again turns on his "Aw Shucks" Charm, as the hapless, entirely normal, extraordinary-in-no-way-which-makes-him-extraordinary builder in what is sure to be some sort of animated classic. Using familiar pop-culture references to play to adults and easily recognizable toys to play to kids, The Lego Movie takes all of the animated cliches and turns them just enough to be a brand new kind of fun. The moment at the end, when you realize just how much heart this little movie does have was a refreshing reminder, similar to that of How To Train Your Dragon, of what going to the movies can feel like, as long as you can still believe in magic. 10. Captain America: The Winter Soldier (4 1/2 stars) Captain America was my favorite of the Marvel origin stories as much for it's unique time-capsule period piece visuals as it was for its assured, accessible story. It doesn't hurt that it's Chris Evans. But Winter Soldier took the Marvel world we've become accustomed to and turned everything on its head. While still visually impactful, in a very different way from the first one, what's impressive is that this many movies in, the Marvel Universe is still churning out a story that keeps people engaged. It was fun to see Captain America on the run, fun to see the underground side of all of this, and even more fun to watch pieces line up on the chess board, in a way that I, genuinely, didn't see coming. For a while, blockbuster didn't seem like such a dirty word. Below are the rest of my ratings for the films of 2014. Here's to an even more interesting 2015. Maybe this year I'll even write some reviews! You should watch The Guest. I think you'd have a fun time with it. So deranged.